Heartland is currently seeking candidates for a full time Associate Project Manager (“APM”) and/or full time Project Manager (“PM”). Conduct market, demographic, economic, and financial data collection and analysis for a wide range of real estate product types, geographies, and client types. Assist in the synthesis of this information and creation of client-facing materials, including reports, memorandums and presentations. Manage multi-phase projects from strategy development to implementation on behalf of a range of client types. Perform a range of market, demographic, economic, and financial analysis for a wide range of real estate product types, geographies, and client types. Synthesize this analysis and create client-facing materials, including reports, financial models, memorandums and presentations. Support internal firm functions and processes. Application Process- Applications accepted on rolling basis; seeking candidate for immediate start. Position Summary- Heartland recently merged with Laird Norton Properties (“LNP”), the real estate entity of a seven generation, Seattle-based family enterprise, and took on asset management responsibilities for LNP’s office portfolio in Seattle, Denver, Portland and Salt Lake City. The Asset/Portfolio Manager is responsible for implementing strategy and overseeing the performance of the eight-asset office portfolio. The scope could evolve to include new direct investments. Recognize and actively manage risks at all levels: tenant, property and portfolio. Conduct rigorous financial analysis to support key activities including, leasing, capex, disposition and capital decisions. Assemble and manage best-in-class property management and leasing teams. Continually and thoughtfully update the investment thesis and business plan for each property in the context of the specific asset, the market and the LNP Portfolio. Heartland is currently seeking candidates for a Graduate Intern. Job Description- As a Graduate Intern, you will support market, demographic, economic, and financial data collection and analysis for a wide range of real estate product types, geographies, and client types. You will work on a range of internal research projects and will assist the Project Management team on client-related work. Application Details- Applications accepted on rolling basis; seeking candidate for beginning Summer 2019. Heartland LLC is pleased to announce today a merger with Laird Norton Properties (LNP) that will position both firms with a unique, multi-faceted and fully integrated business and real estate enterprise. 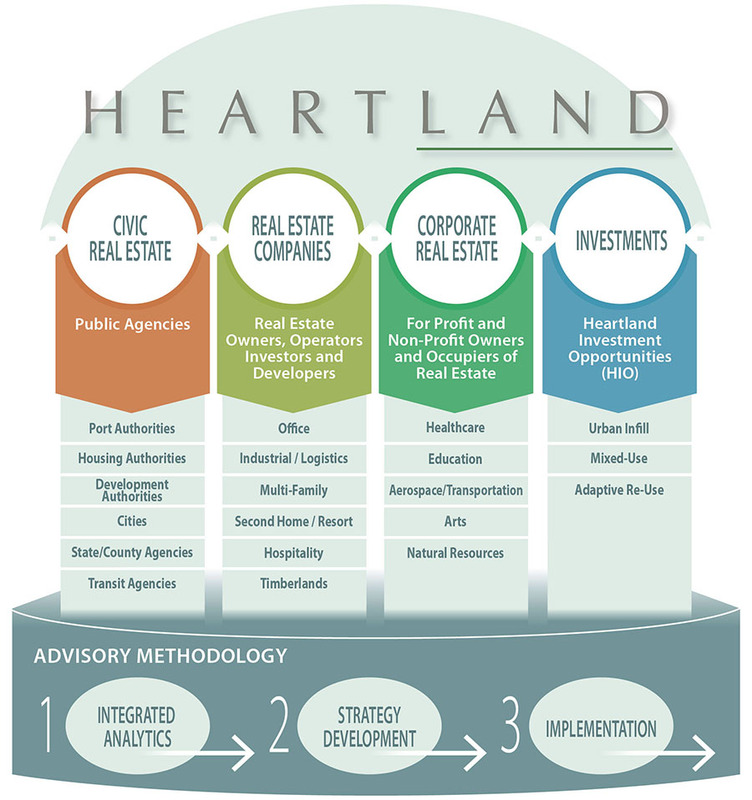 Heartland and LNP will continue with their respective client portfolios and joint venture partnerships and will now have a combined set of expertise to provide a broader reach of real estate and business advisory services and execution capabilities in real estate investment, brokerage, relationship alignment, capital markets and asset management across all real estate product types. Heartland is excited to learn that Port Blakely has been named the PSBJ Family Business of the Year. Heartland has had the pleasure of working with Port Blakely on the Issaquah Highlands master planned community since 2009, and continues to work in support of remaining development activities, key community agreements, obligations and relationships (including the Custom Home Architectural Review Committee).